Myofibrillar myopathy (MFM) is a group of inherited muscular disorders characterized by myofibril dissolution and abnormal accumulation of degradation products. The diagnosis of muscular disorders based on clinical presentation is difficult due to phenotypic heterogeneity and overlapping symptoms. In addition, precise diagnosis does not always explain the disease etiopathology or the highly variable clinical course even among patients diagnosed with the same type of myopathy. The advent of high-throughput next-generation sequencing (NGS) has provided a successful and cost-effective strategy for identification of novel causative genes in myopathies, including MFM. So far, pathogenic mutations associated with MFM phenotype, including atypical MFM-like cases, have been identified in 17 genes: DES, CRYAB, MYOT, ZASP, FLNC, BAG3, FHL1, TTN, DNAJB6, PLEC, LMNA, ACTA1, HSPB8, KY, PYROXD1, and SQSTM + TIA1 (digenic). Most of these genes are also associated with other forms of muscle diseases. In addition, in many MFM patients, numerous genomic variants in muscle-related genes have been identified. The various myopathies and muscular dystrophies seem to form a single disease continuum; therefore, gene identification in one disease impacts the genetic etiology of the others. 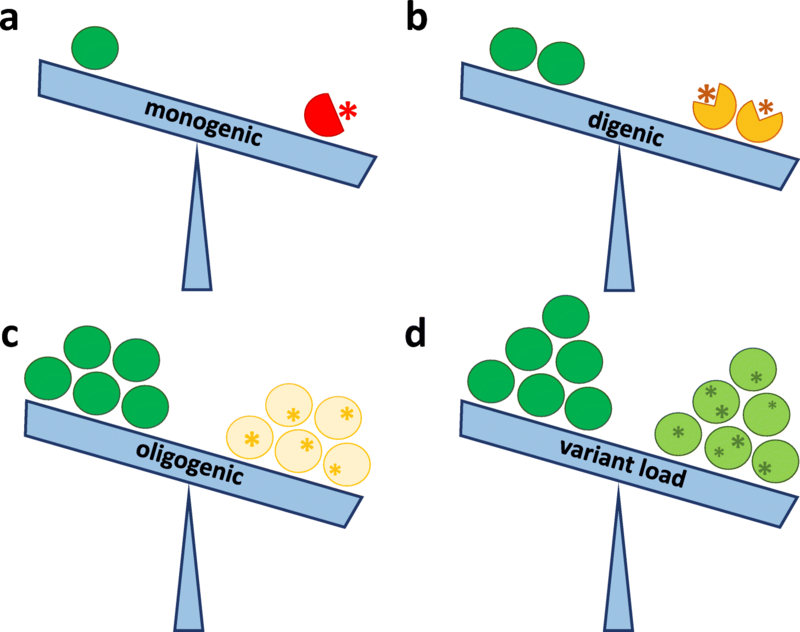 In this review, we describe the heterogeneity of the MFM genetic background focusing on the role of rare variants, the importance of whole genome sequencing in the identification of novel disease-associated mutations, and the emerging concept of variant load as the basis of the phenotypic heterogeneity. Myofibrillar myopathy (MFM) is a clinically and genetically heterogeneous group of hereditary muscle diseases characterized by ectopic protein aggregates and a distinct pattern of myofibrillar disorganization. The disintegration of the myofibrils commences in the immediate proximity of the Z-disc and results in Z-disc streaming. This is followed by abnormal accumulation of degraded filamentous material in various patterns in the myofibril-free fiber regions around nuclei and under the sarcolemma. The abnormally accumulated proteins include desmin, myotilin, α-B-crystallin, filamin C, Bag3, actin, plectin, dystrophin, sarcoglycans, neural cell adhesion molecule (NCAM), gelsolin, ubiquitin, syncoilin, synemin, Xin, and TAR DNA-binding protein 43 (TDP-43). Degradation of dislocated membranous organelles in autophagic vacuoles is also observed (Selcen 2011). Despite its distinct pathomorphological features, the clinical features of MFM are diverse. Patients usually present with progressive muscle weakness that begins in distal muscles and spreads proximally; however, in 25% of patients, an early limb-girdle involvement can occur (Selcen and Engel 1993). The time of MFM onset ranges from infancy to the very late adulthood, but for the majority of patients, the symptoms appear in the middle of adulthood (Schröder and Schoser 2009). Due to such significant phenotypic variability, the clinical diagnosis of MFM is often complicated. MFM is usually transmitted in an autosomal dominant manner; however, autosomal recessive or X-linked MFM forms have also been described (van Spaendonck-Zwarts et al. 2011; Selcen et al. 2011). Historically, MFM classification included subtypes caused by mutations in desmin (DES), α-B-crystallin (CRYAB), myotilin (MYOT), lim domain-binding 3/Z band alternatively spliced PDZ-containing protein (LDB3/ZASP), filamin C (FLNC), and Bcl2-associated athanogene-3 (BAG3) (Vicart et al. 1998; Selcen and Engel 2004; Klaavuniemi and Ylänne 2006; Selcen et al. 2009; Shatunov et al. 2009; Selcen 2011). Pathogenic mutations in these genes cause mainly clinically typical MFM. Recently, patients with mutations in FHL1, TTN, DNAJB6, PLEC, ACTA1, HSPB8, LMNA, KY, PYROXD1, and SQSTM1, the latter accompanied by a modifying variant in cytotoxic granule-associated RNA-binding protein TIA1, were characterized (Selcen et al. 2011; Selcen 2015; Straussberg et al. 2016; Winter et al. 2016; Ghaoui et al. 2016; Sandell et al. 2016; O’Grady et al. 2016; Niu et al. 2018). Importantly, mutations in the majority of the aforementioned genes can cause not only MFM, as many of them are associated with other types of muscular diseases. Some are associated with MFM with specific additional symptoms (see Table 1). The majority of genetically diagnosed MFM patients have mutations in one of the following genes: DES, CRYAB, MYOT, LDB3/ZASP, FLNC, or BAG3. Mutations in the other genes listed in Table 1 usually manifest with different muscular phenotypes; however, histological features of MFM have also been reported. Below, we describe the genes linked to the MFM-like clinical phenotypes and highlight the similarities in clinical and histopathological presentation to MFM. The FHL1 gene encodes four-and-a-half LIM domain protein 1, which is located in the Z-disc and M-line. Through titin (TTN), it interacts with other MFM-related proteins (Raskin et al. 2012). Mutations in FHL1 have been associated with various X-linked myopathies. In some patients, myofibrillar disintegration and accumulation of cytoplasmic degradation products typical of MFM pathology have been described (Selcen et al. 2011). A less evident histopathological overlap of FHL1 myopathies with MFM has also been found (Schessl et al. 2009; Schoser et al. 2009). Titin is a giant protein spanning from the Z-disc to the M-line and is responsible for the passive elasticity of the muscle. It binds to a number of proteins, including α-B-crystallin, filamin C, FHL1, α-actinin, actin, and myosin (Matsumoto et al. 2005). TTN gene mutations have been reported to cause a range of cardiomyopathies and skeletal muscle diseases. In addition, in some cases of hereditary myopathy with early respiratory failure, features common in MFM were described. These included myofibrillar disruption, Z-disc streaming, and extensive dispersion of semi-dense Z-disc material over the entire sarcomere (Ohlsson et al. 2012; Izumi et al. 2013; Pfeffer et al. 2014). Titinopathies with early respiratory failure and MFM-like histopathological findings are caused by mutations in the A-band domain of titin. DNAJB6 belongs to the DNAJ family of proteins, which regulate chaperones by stimulating their ATPase activity. As DNAJB6 interacts with BAG3, HSPB8, and other proteins of the chaperone-assisted selective autophagy (CASA) pathway, it indirectly suppresses protein aggregation (Sarparanta et al. 2012). DNAJB6 mutations cause limb-girdle muscular dystrophy type 1D (LGMD1D). In most cases, especially those involving mutations of the G/F domain of the DNAJB6 protein, muscle biopsy reveals MFM-like myopathology (Sandell et al. 2016). The observed myofibrillar disorganizations with an excess of Z-disc material and aggregates positive for myotilin, α-B-crystallin, and desmin are typical features of MFM. Plectin is an intermediate filament-binding protein, which provides mechanical strength to cells as a crosslinking element of the cytoskeleton. In the skeletal muscle, it anchors desmin intermediate filaments to the Z-disc and therefore is essential for the integrity of myofibers (Konieczny et al. 2008). Mutations in PLEC cause several disorders including limb-girdle muscular dystrophy type 2Q (LGMD2Q) and several types of autosomal recessive epidermolysis bullosa simplex. Most commonly, it is epidermolysis bullosa simplex with muscular dystrophy (EBS-MD). As in the majority of cases, the disease manifests with degenerative myofibrillar changes and subsarcolemmal and sarcoplasmic desmin-positive protein aggregates, it should be classified as a subtype of MFM (Celik et al. 2005; Winter et al. 2016). The ACTA1 gene encodes skeletal muscle α-actin, which forms the thin filament in skeletal muscle. ACTA1 interacts with a variety of proteins including LDB3 (Lin et al. 2014), and together with myosin, it is essential to produce the force for muscle contraction. Mutations in ACTA1 can cause many types of congenital myopathies. A case with a two-amino-acid duplication in ACTA1 which resembled MFM phenotype has been described (Selcen 2015). The MFM-like features included myofibrillar disorganization of hyaline structures and ectopic or abnormal expression of actin, desmin, α-B-crystallin, myotilin, dystrophin, and NCAM. Mutations in small heat shock 22-kd protein 8 (HSPB8) are associated predominantly with Charcot-Marie-Tooth disease (type 2L—CMT2L) and distal hereditary motor neuronopathy (type 2A—dHMN2A). Two families with different HSPB8 mutations underlying motor neuropathy with comorbid distal myopathy have been described (Ghaoui et al. 2016). Their muscle biopsy revealed features of MFM: rimmed vacuoles and myofibrillar aggregates containing apart from HSPB8 also desmin, myotilin, α-B-crystallin, DNAJB6, BAG3, and dystrophin. HSPB8 together with BAG3 (another MFM-related protein) is involved in CASA, a protein quality control system essential for the degradation of damaged Z-disc proteins. In addition to its anti-aggregation properties, HSPB8 interacts with a wide range of protein partners, modulating diverse cellular functions, e.g., apoptosis, proliferation, and inflammation. HSPB8 is ubiquitously expressed, including in the skeletal and smooth muscles, heart, brain, and skin (Li et al. 2018). The LMNA gene encodes lamins A and C, structural intermediate filament proteins of the nuclear lamina (Krohne and Benavente 1986). They are vital not only for the nuclear lamina integrity and stabilization of nuclear size and shape, but also allow desmin to anchor to the nuclear envelope. Mutations in LMNA cause numerous disorders, including limb-girdle muscular dystrophy type 1B (LGMD1B) and Emery-Dreifuss muscular dystrophy. Apart from skeletal muscle pathology, mutations in LMNA are associated with dilated cardiomyopathy, Charcot-Marie-Tooth disease, progeria, lipodystrophy, and dermatopathy. Recently, two LGMD1B cases with MFM features caused by two different LMNA mutations have been reported (Dhawan et al. 2018). The histopathological findings included rimmed vacuoles and aggregation of membranous material positive for desmin, myotilin, α-B-crystallin, and dystrophin. Lamin A and lamin B play a role in DNA replication and influence various cellular mechanisms that maintain genome integrity and consequently innate immune response. Therefore, defects in lamin functioning could indirectly contribute to muscle disorders (Graziano et al. 2018). Similarly to calpain 3 (associated with limb-girdle muscular dystrophy), kyphoscoliosis peptidase (KY) is a muscular protease that interacts with filamin C and titin. KY-deficient mice presented abnormal subcellular localization of filamin C (Beatham et al. 2004). It is speculated that kyphoscoliosis peptidase and filamin C together with IGFN1 form a Z-band associated protein complex providing structural support to the skeletal muscle sarcomere (Baker et al. 2010). KY mutations were originally described in mice with thoracolumbar kyphoscoliosis and progressive muscle dystrophy and atrophy (Blanco et al. 2001). Recently, siblings with congenital myopathy with core targetoid defects caused by a homozygous KY non-sense mutation have been described (Straussberg et al. 2016). Their MFM-like features included Z-disc streaming and filamin C accumulation. Another protein involved in disruption of the Z-disc is pyridine nucleotide-disulfide oxidoreductase domain-containing protein 1 (PYROXD1) belonging to a family of pyridine nucleotide-disulfide reductases that regulate the redox state of substrate proteins. Mutations in nuclear-cytoplasmic PYROXD1 have been recently described in early-onset myopathy with internalized nuclei and myofibrillar disorganization (O’Grady et al. 2016). The gene had not been associated with any disease until four different recessive variants were identified as causal in five MFM families. Mutations in PYROXD1 manifest with MFM features including disintegration of the myofibrils, loss of Z-disc structures, and desmin-positive inclusions (O’Grady et al. 2016). Sequestosome 1 (SQSTM1) protein is involved in ubiquitin-dependent autophagy and allows clearance of ubiquitinated aggregates. Cytotoxic granule-associated RNA-binding protein TIA1 is an alternative splicing activator (Förch et al. 2002). Alternative splicing events are common in skeletal muscle proteins, and splicing disruption is an acknowledged contributor to the disease (Castle et al. 2008). Mutations in SQSTM1 are associated mainly with Paget disease of the bone, amyotrophic lateral sclerosis, and/or frontotemporal dementia. TIA1 mutations alone have been associated with Welander distal myopathy. Most recently, a digenic form of MFM-like inclusion body myopathy caused by mutations in SQSTM1 along with a specific TIA1 variant has been described (Niu et al. 2018). The patients presented with rimmed vacuoles and mislocalized cytoplasmic granules. The list of genes associated with MFM and MFM-like phenotypes is not exhaustive. Many of these genes have been linked predominantly with other muscular disorders, which explains the clinical and histopathological overlap between the myopathies. It seems that the phenotype of myopathies arises not necessarily from defects of a particular protein but rather from the dysfunction of specific structures and pathways. Therefore, similar phenotypes can be associated with mutations in numerous genes. The proteins of the muscle cell form a complex machinery where structural or functional impairment of any of its components can result in progressive muscle dysfunction and eventual destruction (Ehler and Gautel 2008). Accumulation of diverse minor defects, even those without an apparent effect when present in isolation, could result in a similar clinical phenotype, as it has been proposed in other neuromuscular disorders (Gonzaga-Jauregui et al. 2015). The hallmark of MFM is the initial pathology centered on the Z-disc. In fact, all genes primarily associated with MFM encode proteins that either reside in or associate with the Z-disc. This thin, dark protein band separates adjacent sarcomeres—the basic contractile units of the skeletal muscle. Z-disc is the anchoring point of actin filaments at either end of the sarcomere (Franzini-Armstrong and Porter 1963). One of the groups of proteins involved in MFM pathology is structural proteins that maintain the integrity of sarcomeres, such as desmin, myotilin, and filamin C. Desmin is a type III intermediate filament protein responsible for myofibril organization. Together with other intermediate filament proteins, desmin maintains structural integrity of the muscle fiber, especially in conditions of mechanical stress (Knöll et al. 2011). Myotilin binds to the Z-disc α-actinin and filamin C and controls sarcomere assembly. Lim domain-binding 3 protein (LDB3), formerly known as ZASP, also binds to the Z-disc α-actinin (Salmikangas et al. 2003). Finally, filamin C is a peripheral Z-disc actin-binding protein which anchors alpha-actin to sarcoglycans of the sarcolemma (Thompson et al. 2000). In addition, the genes more recently associated with MFM encode proteins such as titin, plectin, α-actin, and lamin, which are essential structural components of the sarcomere and interact with other MFM-associated proteins. Chaperones are another group of proteins involved in the MFM pathology. Proper folding of the muscle proteins allows normal myofibril organization and prevents their aggregation. For instance, α-B-crystallin is a member of the small heat-shock protein family and in muscle is localized to the Z-disc. It acts as a chaperone for actin and desmin filaments (Wójtowicz et al. 2015). In addition, proteins encoded by BAG3, DNAJB6, and also HSPB8 are involved in chaperone-assisted selective autophagy (CASA). The CASA complex facilitates degradation of damaged Z-disc and is required to prevent protein aggregation (Arimura et al. 2011; Ulbricht et al. 2015). Also, sequestosome 1, itself not a chaperone, plays a role in the autophagy of ubiquitinated inclusions and thus prevents accumulation of abnormally folded proteins. A recently described PYROXD1 myopathy (O’Grady et al. 2016), despite being initially associated with the Z-disc in co-localization studies, demonstrates that altered cellular redox regulation could be another pathomechanism in myopathies. Overall, in the majority of MFM patients, the molecular dysfunction is associated with proteins involved in forming the structure and/or providing homeostasis of the Z-disc in the muscle fiber. It is anticipated that also potential novel genes involved in MFM yet to be identified might encode structural or chaperone proteins. Particular attention should be given to genes encoding proteins known to interact with the known MFM-associated proteins. In about 50% of the MFM patients, the causative gene defect remains unknown. This might be partially due to the monogenic-centered concept of inherited diseases relying on Sanger sequencing of one or a few candidate genes at a time. However, di- and oligogenic heterozygosity has already been proposed as a potential disease mechanism for some metabolic and neurological diseases (Vockley et al. 2000; Schaaf et al. 2011). In some patients co-morbid, incomplete defects in multiple proteins of the same or of several independent pathways may lead to a disease, even though no causal mutation has been identified so far (Fig. 1). Such cases could be explained by the “epistatic effect” when one genetic variant is modulated by another one giving either a synergistic or an antagonistic effect on the phenotype (Phillips 2008). Another explanation is “synergistic heterozygosity,” when variants in two or more genes do not have a modulatory effect on each other but can cause partial defects in the same or intersecting pathways. In myopathies, several benign variants may accumulate in genes encoding proteins involved in a specific pathway (i.e., protein folding quality control) or in a single subcellular structure (such as the Z-disc or extrasarcomeric cytoskeleton). The cumulative effect of these variants, if exceeding a certain threshold, could affect muscle functioning and result in pathology such as MFM. We believe that such a cumulative effect of seemingly benign variants (with small effect when present in isolation) could explain the genetic background of a phenomenon observed in some families with children displaying a more severe disease phenotype than the one of their parents (Li et al. 2017). In addition, common polymorphisms might be disease course-modifying factors, such as LTPB4 variant in dystrophinopathy (Flanigan et al. 2013). We have observed a similar case in one MFM family, in which initial Sanger sequencing revealed a causative Q348P mutation in desmin co-segregating with the disease phenotype (Fichna et al. 2014). Subsequent whole exome sequencing revealed an additional S206L DNAJB6 mutation only in one patient with disease onset two decades earlier than of his mother’s, who also presented with a milder course of the disease (Fichna et al., manuscript in preparation/data not shown). On the other hand, typical digenic inheritance has been demonstrated in facioscapulohumeral muscular dystrophy (Lemmers et al. 2012), in congenital myasthenic syndrome (Lam et al. 2017), and in calpainopathy (Sáenz and López de Munain 2017). Digenic inheritance has also been described in MFM-like cases caused by mutations in SQSTM1 and TIA1 (Niu et al. 2018). The strictly Mendelian concept of inheritance, with one mutation causing one clinical phenotype, is an oversimplification, as it was already elegantly presented on the example of phenylketonuria, the classical recessive disease (Scriver and Waters 1999). It was then proposed that modeling the interaction of a limited number of genes and understanding the molecular consequences of such interactions are a prerequisite for understanding genomic basis of phenotypic complexity of Mendelian disorders (Badano and Katsanis 2002). Nowadays, with the development and widespread application of various next-generation sequencing methods, it has become clear that not only a single gene can be associated with a specific disease (locus heterogeneity), but different variants in one gene can cause different phenotypes (allelic heterogeneity), and some variants can even be associated with multiple clinical phenotypes (Keith et al. 2014). The availability of exome and whole genome data for various conditions has challenged the classical definition of genetic causality and the concept of strictly monogenic disorders, providing evidence for the roots of heterogeneity and complexity of the human genome (Katsanis 2016). Many diseases with overlapping phenotypes have multiple genetic associations. Interestingly, to date, there have been over 400 genes associated with various neuromuscular disorders, with 407 associated only with “myopathy” in the OMIM database (omim.org). Myopathies and muscular dystrophies seem to form a disease continuum; thus, the causative gene identification in one disease impacts the genetic etiology of the others. It could be hypothesized that complex patterns of inheritance, including oligogenic inheritance, account for a sizable fraction of myopathy cases, particularly the atypical ones, overlapping with other muscular disease forms. Specific genetic background, in particular comprising the genes for elements of pathways or structures involved in the pathogenesis of MFM, although difficult to pinpoint, may likely influence the phenotype. Modifying variants and even co-causal mutations may also explain the observed inter- and intrafamilial variability between patients harboring the same main causal mutation (Fichna et al. 2014). In MFM patients with an unknown genetic defect, the pathogenic and co-causative mutations (including copy number variants), as well as the modifying variants, could be located in non-coding, e.g., regulatory or deep intronic regions, not resolved by the whole exome sequencing approach, which highlights the superiority of the whole genome sequencing approach (Itan and Casanova 2015). The concept of oligogenic inheritance should influence not only the approach to gene identification, but also genetic testing and counseling. NGS results are too complex to be easily interpreted by the health care professionals, who also struggle to pass comprehensive information on to the patients (Niemiec et al. 2018). However, one of the biggest challenges remains the discrimination between possible co-causative or modifying variants and the thousands of insignificant variants present in any genome. Advanced bioinformatic assessment of identified variants and comparison of worldwide NGS results offer some solution of this conundrum (Chakravorty and Hegde 2018). 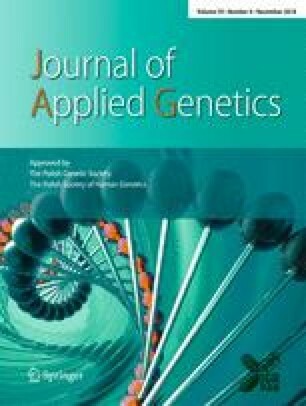 A recent comprehensive genetic analysis using whole exome sequencing in a group of patients with various muscle disorders has shown that each patient bears over 30 rare (minor allele frequency, MAF < 1%) genetic variants potentially influencing the structure of relevant proteins and putatively related to the myopathic phenotype (Fichna et al. 2018). Interestingly, more of those rare variants were shared between patients with MFM and limb-girdle muscular dystrophy (LGMD) than between LGMD or MFM and a control group (Fichna et al., unpublished results). The hypothesis-driven approach used in the above study could have resulted in missing variants in genes not yet related to any muscle phenotype. Therefore, it was augmented by applying an additional filtering pipeline relating to muscle physiology or structure. It was aimed at the identification of very-rare variants (MAF < 0.1%) in genes expressed in the muscle and in genes coding for proteins from a broad interactome of muscle disease-related proteins. Using this combined approach, we were able to detect numerous variants often in genes coding for proteins involved in sarcomere structure and assembly, signal transduction, protein’s glycosylation, and folding or/and previously implicated in diverse muscle disorder (Fichna et al. 2018). Among these variants, potentially compromising protein structure and/or function could be novel pathogenic or phenotype-modifying ones. Therefore, we proposed that those variants could be part of a “variant burden,” contributing to deterioration of muscle cell molecular homeostasis and facilitating or modifying effects of the well-established causative MFM mutations. Moreover, mutations in genes encoding chaperones (CRYAB, BAG3, HSPB8, and DNAJB6) may likely unmask the burden of variants with minor effect. Chaperones rescue proteins misfolded by environmental stresses, but could also stabilize mutated proteins (Tomala and Korona 2008). Even if many MFM cases can be easily attributed clinically to mutations in a single gene, the high number of variants associated with myopathy and sometimes with specific phenotype features suggests that the variant load may be important even in patients with a well-defined primary pathogenic cause (Fichna et al. 2018). It is likely that in MFM-like cases with mutations in genes typically associated with other disorders (like ACTA1, HSPB8, LMNA, or SQSTM1), it is the variant load that ultimately determines the features of myofibrillar pathology. The superiority of high-scale bioinformatic analysis over focused genetic studies lies in the possibility of repeating the analysis and applying novel knowledge, updated databases, better algorithms, and prediction tools. Therefore, genetic testing of MFM should be combined not only with bioinformatic analyses and deep phenotyping, but also with comprehensive analyses of transcripts and protein isoforms to pinpoint novel causal, co-causal, and modifying variants (Hennekam and Biesecker 2012). Identification of the modifying variants requires high-throughput analyses of combined genomic and clinical data on large groups of ethnically diverse patients with various muscle diseases and should be followed by functional studies. Such an approach will enable examination of groups of genes encoding entire pathways and cellular modules (McCarthy and MacArthur 2017). Better understanding of the importance of the modifying variants will inevitably transform the traditional descriptive classification of muscle diseases into a systemic and pathway-based view of clinical phenotypes (Thompson and Straub 2016). There is mounting evidence that MFM and other myopathies should be viewed as oligogenic disorders in which variable clinical presentation can result from the combined effect of mutations in many genes. In this view, the inter- and intrafamilial variability could reflect a specific genetic background and the presence of sets of phenotype-modifying, co-causal mutations (variant burden). The concept of non-monogenic inheritance should influence not only the current approach to gene identification, but also genetic testing and counseling. 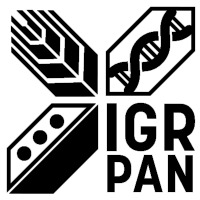 The study on myofibrillar myopathy was funded by Polish National Science Centre grant (NCN 2012/05/D/NZ4/02978).